Formwork is temporary moulds into which concrete is poured, and compacted to cast concrete according to the design. 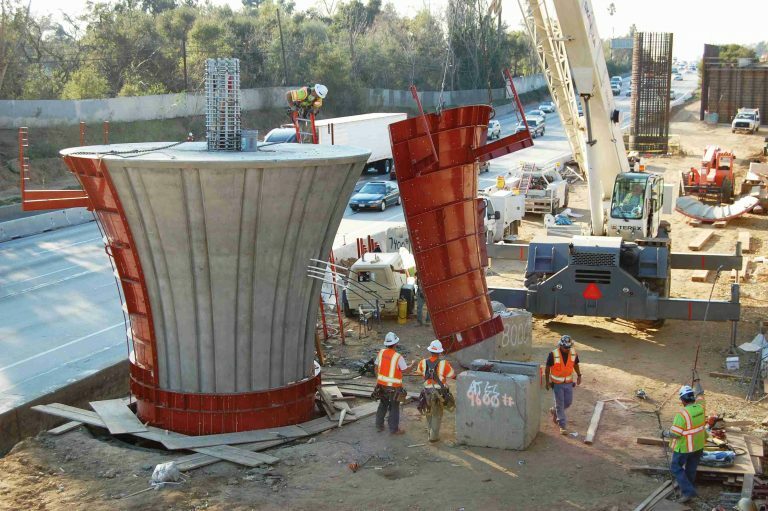 Formwork is erected in the correct position to cast concrete structural members. The formwork is kept in its position until the concrete hardens and start gaining strength. Removal of formwork is recommended only when the concrete has gained strength to take up its dead weight without the further help of formwork or any props. 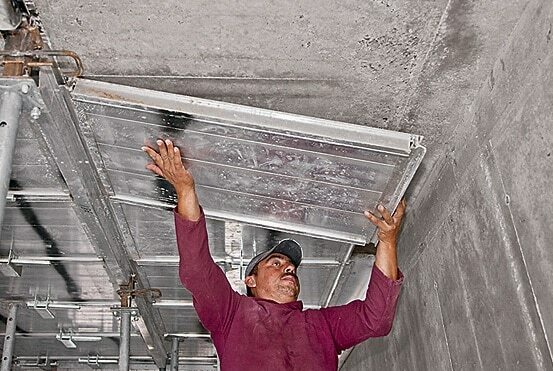 Before dealing with the precautionary measures which are to be taken during the removal of formwork or props, it is always necessary to know the correct time of removal of formwork. The formwork must be removed after the desired strength is attained by the concrete structural elements that is supported within the formwork. Here we have given brief information on the correct time of removal of formwork and the precautions which must be taken. The formwork removal process is after the concrete is casted and gained sufficient strength is called striking of formwork. This will result in stresses in the structural element as due to loss of supports either on sides or below due to loss of support, it now becomes the responsibility of structure to support itself. A properly hardened concrete element will be able to resist these external stresses during the removal of formwork. Formwork is left for longer period in order to assist the curing procedure of concrete elements. The conditions mentioned above are applicable for normal circumstances; The normal temperature not less than 15 degrees Celsius and the cement used is ordinary portland cement. For lower temperatures and other types of cement, the time recommended can be changed suitably. In such cases, one should strictly follow the instructions of the structural engineer. The removal of formwork must be carried out in such a way that minimum shock or vibration transfers to the concrete. The striking of formwork must not cause any damage to the structure. Always start removing the formwork when the element has reached the formwork removal time, which is determined by the test results performed in the laboratory. For normal small and ordinary structures when tests are not possible, follow instructions in drawings or instructions of the structural engineer. The compressive strength is followed as per IS method. The test is carried out in standard cubes and/or cylinder of same sample mix. The developed strength of concrete can be determined at the site by means of non-destructive tests (NDT) before the removal of formwork. The formwork props for soffits are not removed until it is ensured that it can take its own weight and the stresses acting externally. The quality engineers have to inspect the site before starting the formwork removal process. The workers must have a safe access before removing the formwork. Special considerations must be given to freeze-thaw damages and crack formation in concrete due to any sort of thermal contractions while formwork removal. If this risk exists, the formwork removal time can be delayed. The removal of formwork at correct timing can be carried out if we had planned and insulated the structure so that they are not subjected to such damages. This is mainly encountered in cold weather concreting. The striking time of a structure is determined by the strength gained or through non-destructive testing. The formwork parts and related units have to be arranged such a way that the removal is made easy. This will help in reducing the damage to the concrete. Only careful removal of the formwork panels will help them to be reused. The procedure of formwork removal has to be properly supervised by an engineer. Good quality concrete will be free from honeycombs and cracks. If any defects exist, immediate repair works can be carried out. The removal of formwork has to be done sequentially and in a pattern with the approval of the site in-charge. Wooden wedges must be used to separate the forms and not the crowbars. Until the final removal of all the shoring units, the beam and joist bottoms should remain as such. Removal of formwork must not result in damage to concrete surfaces, mainly corners and edges. Once the removal process is complete, the exposed surfaces must be covered with polythene bags or wet bags so that the concrete is fully cured. Sometimes for increasing the speed of construction, the slabs are cast one above other keeping the formwork of one more slab below. i.e. In such cases, the slab whose props are removed has not only to support its self-load but also has to support the load due to one slab above which has yet not hardened and attained its full strength. In such cases always follow instructions of the structural engineer. What would Happen if Formwork is Removed Early? In case of columns and beams if you remove formwork immediately, the sides may bulge if the concrete has not hardened. The sides may go out of line or plumb. Again due to loss of sides evaporation of water will start immediately and one has to start curing immediately. Also Read: Why Water Requirement is Higher for Curing rather than Making the Concrete? The structure may deflect or even may collapse if it has not gained sufficient strength. Please, note that if deflections at such times occur it will remain permanently and difficult to repair. Hence be careful. 01. The formwork is designed for the structural element under consideration. The working drawing of the same have to be available at the site. 02. The strength of the elements that is used as formwork must be sufficient to support the structural load as well as the load that is imposed. 03. While designing the formwork, all the loads have to be considered including the loads coming during the process of casting. 04. The rate of pour, the height of concrete pour, the sequence, the temperatures and the schedule of concrete pouring must be considered during formwork design. 05. 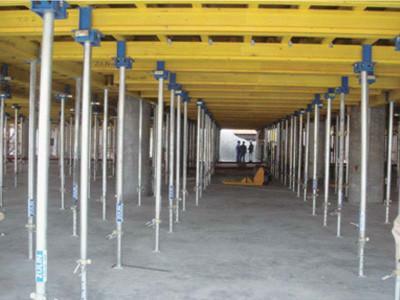 The formwork designing must take into consideration the safe bearing capacity of soil. 06. The working drawing at site must include the detailed dimension of the compacting opening, the cleanouts. 07. All props must be checked. They must lie over bearing plates. 08. Defective props have to be removed. 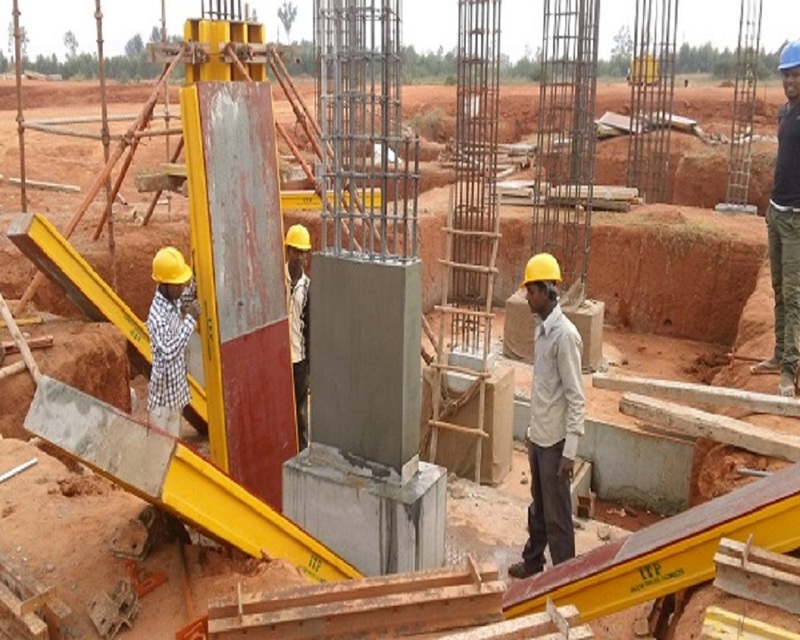 Striking of formwork must be done at the correct time to avoid poor quality of construction. While casting concrete, the above precautions of removal of formwork must be followed. Otherwise, the concrete structural members may break or collapse or do not gain the required strength.